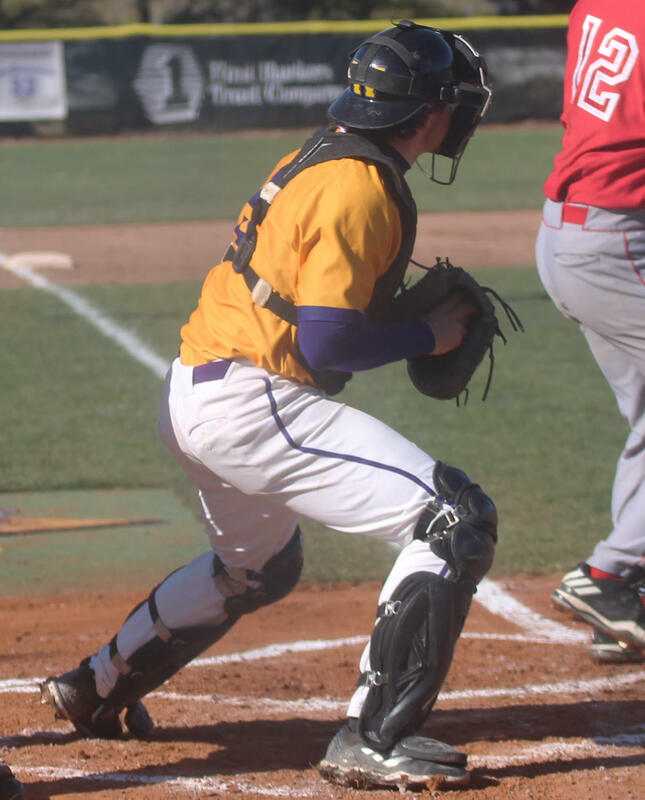 MACOMB Ill. — This past Tuesday the Western Illinois University baseball team (8-18) ended a four game away skid with a 10-run loss to Bradley University (14-10). After going 0-3 against Nebraska Omaha in conference play, the Leathernecks looked to try and bounce back against the Braves. The game was scoreless through five innings thanks in part to sophomore Alex Dorethy’s pitching, who is now 0-4. Giving up only one run in the fifth inning, Dorethy struck out six and only gave up three runs in his five innings pitched. The Braves added four more runs to their lead in the sixth and another five in the bottom of the eighth inning to win the game 10-0. Managing to only get two hits against the Braves, the Leathernecks will need to get the bats going again if they want to beat Oral Roberts (14-12) this weekend. Senior CJ Schaeffer Jr. had a double to lead off the second inning for the Leathernecks, but no one else could follow him up. The only other hit in the game came from junior Trenton Bauer in the top of the second, but again, no one else could follow Bauer up in the inning. If the Leathernecks hope to win, they desperately need their hitting to improve. With three players batting below .200 right now, this will give the team a good look at some good pitching. Hopefully after seeing this, the team can make the necessary adjustments so that they pick up the slack at the plate coming off the Bradley game. The team will look to senior Bailey Montgomery to lead the charge at the plate, as he leads the team in batting average with a .315. Oral Roberts are coming into the series against the Leathernecks after upsetting Oklahoma University in 11 innings by a score of four to two. Sitting third in the Summit with a 6-3 conference play record, the Golden Eagles are going to be a tough test for our Leathernecks. The Golden Eagles have two of the conference’s top batting average leaders as well as the top conference RBI leaders and two of the top home run hitters. Junior Spencer Henson is one of their players that meets all of those boxes. Sitting at number two in the conference for batting average at .338, Henson leads the conference in RBIs and is third in the conference with the most home runs (five). WIU will need to do their best to limit Henson’s opportunities at the plate as they look to win. The games will be the start of a seven-game homestand for the Leathernecks. Looking to improve their standing in the conference, they will need a couple of wins if they want to move into fourth in the conference, as the North Dakota State Bison are only a game ahead of them. With the season reaching its peak, the Leathernecks will need to start kicking things into high gear in order to get ready come playoff time. The first pitch for Friday’s game is at 3 p.m.